Cottage by Design with Trish Banner: I'm famous! But I did get a "shout out" in the Orange County Register this weekend! Jennifer Palmquist's gorgeous home was featured in the Saturday Home and Garden section. She was kind enough (thanks Jen!) to mention Cottage by Design in Fullerton as her "go to source for slipcovers." How exciting! Hope you get a chance to check out the article and the yummy pictures seen here. Be sure to click on the more pictures link too! 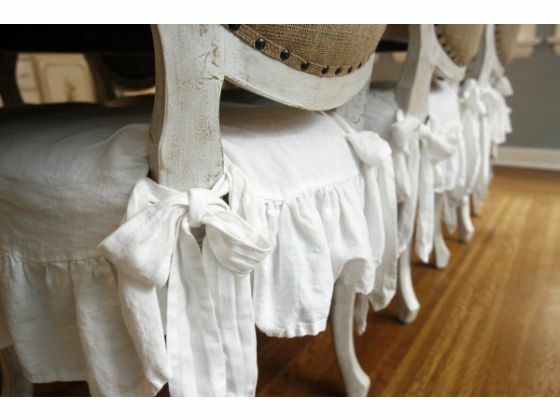 Send me an email if you have any questions about get slipcovers made for your home! I'm so proud of you!!! It's about time you got some public recognition!! !The picture of the couch in the garden with the fluffy pillows is really pretty. Maybe one day I can have one, too. Thanks for all of the kinds comments! It still counts if it's family, right? I happen to come across your website when I googled couch with ruffles. I wish you were nearby. Absolutely love the couch with w/ the ruffles and it's exactly what I'm looking for. Your designs are great! Thanks Linda M, Rhode Island for the supportive comments! I may not be close enough to do your whole sofa, but I could definitely make pillows, bedding, and some easier to measure slipcovers (like dining room chair seat covers, ottoman slipcovers, and rectangular couch cushions). You rock woman!!!! I love that you got some props for the amazing work that you do! Love ya lady!!! Trish! What a great blog! Thank you so much for the beautiful outdoor cushions! They turned out just perfect, and I get so many compliments! And I could have NEVER picked out / coordinated the fabrics for inside my home without you. They are gorgeous, and I can't wait to see the finished project! You are truly talented! Thanks again! Hi Trish! I'm thinking of sewing a sleep cover for a wingback chair. I came across your blog and found the look I want! Thank you for inspiration! You have a gift! Good luck with your business!